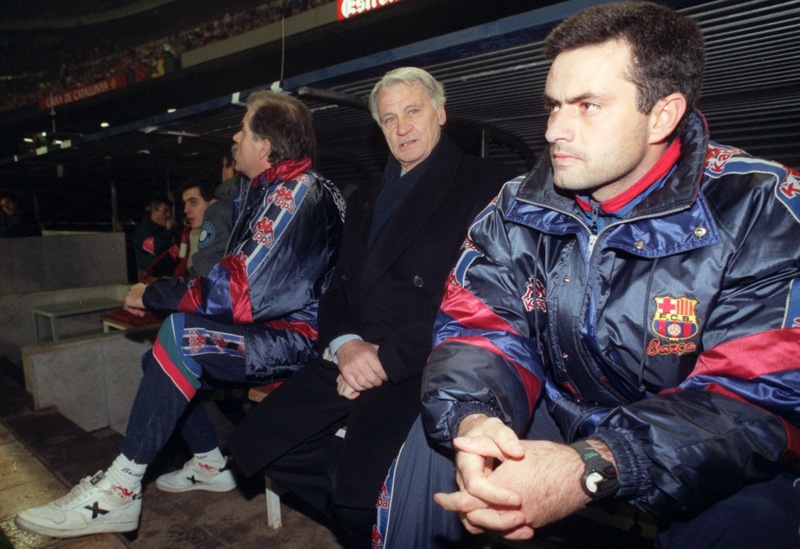 Jose Mourinho sits on the Barcelona bench with manager Bobby Robson, during a Spanish league match against Hercules CF in January 1997. Mourinho was Robson’s assistant and interpreter. When Louis van Gaal replaced Robson at Camp Nou, Mourinho was marginalised and forced out of the club. Should Inter get past Barcelona tonight, The Special One will go head to head against Van Gaal’s Bayern, with an old score to settle. PS. Jose got a very warm welcome back at Barca too. Bad move. If you strike him down, he will etc etc. for the final on 22 May, lets have a snapshot on jose mourinho and Vaan Gaal.